Physicist Michio Kaku brings his ideas and expectations for the future to Chapman University this Friday. 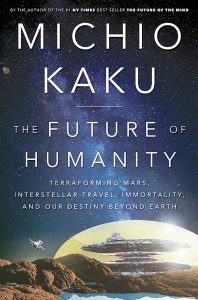 Michio Kaku will lead a discussion of humankind’s future, and talk about his latest book, “The Future of Humanity” (below), Friday night at Chapman University’s Musco Center for the Arts. 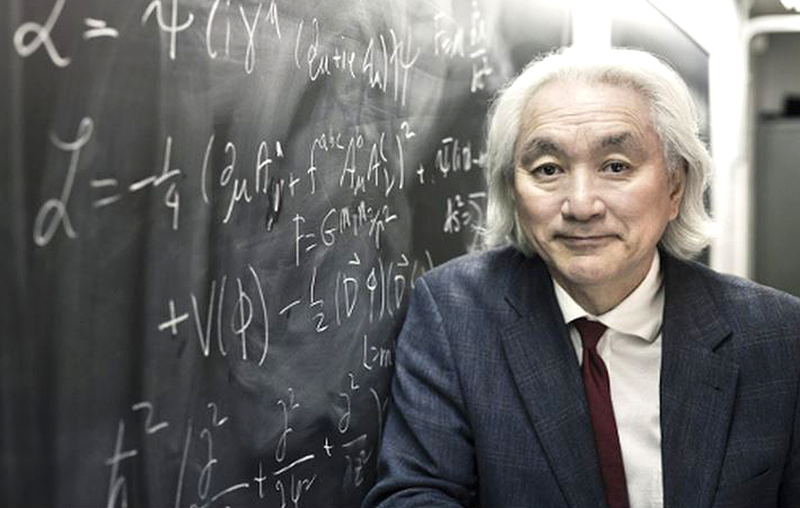 Michio Kaku is essentially in search of only one thing: the answer for everything. 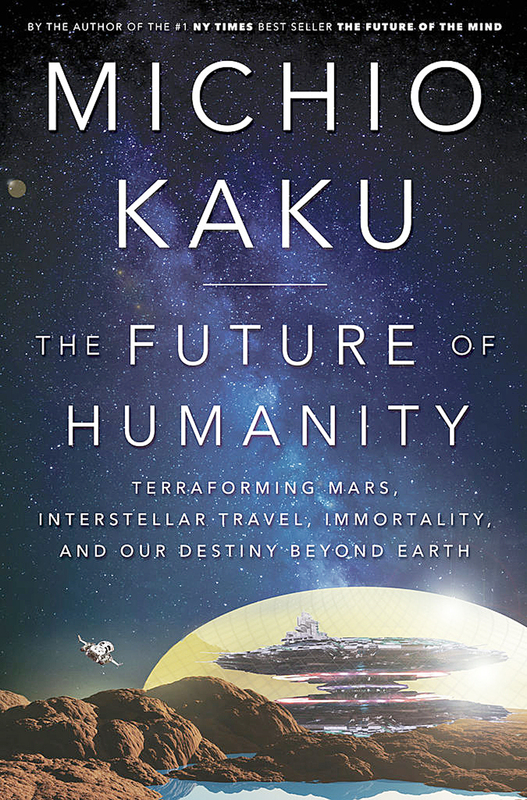 One the world’s leading physicists and futurists, Kaku will lead a discussion of the path ahead, and his latest book, “The Future of Humanity,” this Friday at Chapman University’s Musco Center for the Arts in Orange. The program begins at 7:30 p.m. with Dr. Kaku taking his audience on a journey to a future in which humanity may finally fulfill its long-awaited destiny among the stars. The professor of theoretical physics at the City College of New York and the CUNY Graduate Center feels sooner than later, humans will be traveling to and living on worlds beyond Earth. “Later this year, or next year, we’re going back to the moon. We have four different rockets capable of taking us there,” he said, citing the availability of spacecraft built by the likes of NASA, SpaceX, Jeff Bezos’ Blue Origin and the Chinese government. “We’re going to have a traffic jam, and in the 2030s, we go to Mars,” he added. Kaku feels the survival of humanity will eventually require us to leave the only place we’ve ever called home, to branch out to new worlds. “The dinosaurs did not have a space program, and they’re not here anymore. We have to face the fact that 99 percent of all the species on the Earth eventually go extinct,” he explained. “Dig under your feet and you’ll find the bones of countless species that went extinct. They had their day in the sun, but they went extinct. Extinction is the norm. He said that physicists have already begun to prepare for travel to the stars, though building a starship is probably another 100 years away. Kaku, who is known for a best-selling series of books and appearances on a slew of television and radio programs, was enamored with science at an early age. The son of Nisei parents who met while incarcerated at the Tule Lake War Relocation Center, he grew up in Palo Alto and at the age of eight, took interest in news of a renowned physicist who had passed away. While a student at Cubberley High School, Kaku took on a project over one Christmas vacation that was considerably more elaborate than most. Using 22 miles of copper wire and 400 pounds of transformer steel supplied by local electronics companies, he constructed a working particle accelerator on the school’s football field. “That was a lot of wire,” he said, describing how it was strung between the goal posts. When switched on, it produced six kilowatts of power, “enough to blow out every fuse in your house,” he said. The magnetic field generated his project was some 20 times that of the Earth. That project and others drew the attention of physicist Edward Teller, who took on the young Kaku as an apprentice and helped him obtain a scholarship to attend Harvard University. Kaku is one of the pioneers of string theory, a field of ideas that could provide a unified description of gravity and particle physics, as well as what was happening before the Big Bang. It could lead to an explanation of all fundamental forces and forms of matter – a theory of everything. In the current polarized political climate, Kaku has also been confronted by skeptics who deny the validity of science, for reasons that include distrust in government or religious faith. Kaku also hopes to inspire young people to take the same kind of interest in science he had as a young boy, but views some of the long-established educational practices as barriers. “We’re all born scientists. We want to know why the stars shine, why the sun lights up the world, where we came from,” he explained. “After age 10, kids want to know what’s out there, what’s beyond Mommy and Daddy. However, he said, the epiphany of countless young Einsteins is thwarted by “the greatest destroyer” of scientists known to science: junior high school. “That is the enemy of science; we lose scientists by the millions. Every day, thousands of kids get turned off to science. Mostly because learning science is reduced to boring memorization. “Science is not about memorization, it’s about principles, about concepts. There are basically few concepts in physics – quantum theory, relativity, evolution. But that’s not the way they teach it; learn the parts of a flower, dissect a frog. Who cares? Just look it up in a book if you need to know. “Why don’t we teach evolutionary principles? Then we can explain all the flowers,” he suggests. The Musco Center for the Arts is located on the campus of Chapman University, at 415 N. Glassell St., in the city of Orange. Tickets for the March 1 event range from $50-85 and may be purchased online at www.muscocenter.org or by calling the box office at (844) 626-8726. All print-at-home tickets include a no-cost parking pass.